After a Successful run in the International Live performance space and having worked with some of the biggest names from the music Arena, Shubro J.Ganguly is all excited about his debut track, “Paisa Yeh Paisa”, a classic number from Subhash Ghai’s 'Karz' (1980) for the film “Total Dhamaal”. While the song was originally sung by Kishore Kumar, Shubro has added his touch with the music composed by Gourov-Roshin to give it a vibe of today, while paying a tribute to the legend. The star-studded cast Ajay Devgn, Anil Kapoor, Madhuri Dixit, Riteish Deshmukh, Arshad Warsi, Jaaved Jaaferi, Sanjay Mishra and Pitobash had a great time matching steps to the yesteryear hit. Kookie Gulati, Director of Soundtrek Music has been mentoring Subhro and plays a very important role behind his successful break. Shubro’s passion for music made him travel in search of his inspiration and ever since then he has never looked back. From doing shows in Dubai,Muscat and various cities in India, to contributing to Indian cinema, he has always endeavoured to stay close to music in every possible way. 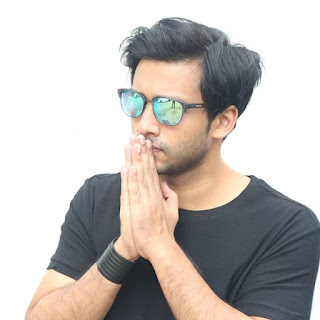 His journey has today associated him with renowned names like Mika Singh, Himesh Reshamiya, Raveena Taurani, Arko Mukharjee, Sachin Gupta and Sachin Jigar’ . “Paisa Yeh Paise” is a celebration track, which is recreated along with Dev Negi and Arpita Chakraborty. 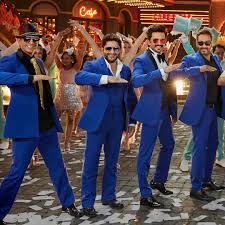 The visuals of the song is iconic as it brings the Bollywood fraternity together, who are in for as the title of the movie says “Total Dhamaal”. Sharing about the same, singer Shubro Ganguly says “It was a great opportunity for me to debut with a multi-starrer film like Total Dhamaal! My heartiest thank to Gourov-Roshin for the brilliant music and Kookie Gulati for letting me to be a part of this grand song!